Food fads and facts come and go. Remember when fat-free foods were the answer to everything? It wasn’t too long before people began to learn that something else had to be added to make up for the loss of flavor caused by removing the fat. That something was sugar. There’s nothing like a little knowledge (and a lot of sugar) for a dose of reality. But the news is not all bad. There are some formerly “forbidden” foods you might want to reconsider. After it was uncovered that a medium-sized movie popcorn along with a medium soda was like eating the nutritional equivalent of three Quarter Pounders topped with 12 pats of butter, people avoided popcorn like the plague. But recently scientists reported that popcorn contains even more healthful antioxidant substances called “polyphenols” than fruits and vegetables. These substances have been linked to a reduction in heart disease and certain cancers. More surprising is that the highest concentration of those polyphenols is contained in those annoying hulls that get stuck in between your teeth. Another plus for popcorn: It’s a great source of fiber and 100 percent whole grain. It used to be associated with things like calories, acne, sugar and caffeine. But dark chocolate gets a pass, because it has so many healthy benefits (sorry milk chocolate fans). It contains powerful antioxidants called flavonoids, which are also abundant in red wine, green tea, fruits and veggies and are associated with a decreased risk of coronary heart disease, cancer, high blood pressure and stroke. What not to eat: A big slab of chocolate cake or a daily bar of chocolate. Dark chocolate still has calories, after all, which can lead to weight gain (and weight gain increases your risk for heart problems and strokes). The German study that found chocolate’s health benefits also found you need only consume about six grams a day, which is the equivalent of about one square of a chocolate bar. If you had high cholesterol or heart disease”and even if you didn’t”you were once warned to limit your consumption of eggs. New research has found that healthy adults can consume an egg a day without worrying about increasing their risk of heart disease. 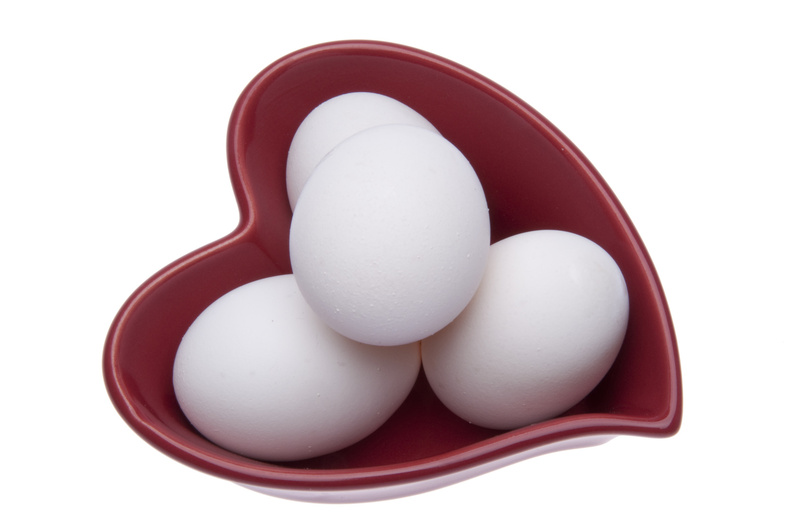 According to the American Heart Association, the lutein found in eggs can actually be protective against the progress of early heart disease. Eggs are also loaded with protein, Vitamin D and valuable vision and brain-fostering vitamins and minerals. Stunted growth spikes in heart disease cancer. True or false? That’s old news. The new scoop on coffee is that its health benefits far outweigh its risks. Recent studies have found that coffee contains high levels of antioxidants and may protect against Parkinson’s disease, dementia and type 2 diabetes. What not to drink: Lots of it. Heavy caffeine use”anywhere from four to seven cups a day”can create its own set of problems, like anxiety, irritability and sleeplessness. So can all the trimmings, like half -and-half and sugar, adding anywhere from 40 to 70 calories per cup (and up). Although a two-tablespoon serving can pack about 15 grams of fat, that fat is the heart-healthy, monosaturated kind (like olive oil). Peanut butter also helps with appetite regulation, since it’s packed with fiber and protein. It also contains health-enhancing vitamin E, potassium and vitamin B6. And research shows that consuming peanuts can decrease your risk of diabetes, heart disease and other chronic health conditions. What not to eat: Just any peanut butter”it’s not all created equal. Watch the sodium counts, which can range from 40 to 250 milligrams per tablespoon serving. Sugar, too, can be an issue, and is more prevalent in the reduced-fat varieties.